Football Canada is pleased to announce the selection process which will determine the composition of the 2020 Junior National Team that will represent the country at the IFAF World Junior Championship in the United States. The process kicks off in the coming weeks with a cross country tour where identification camps will take place in seven major cities. Tryouts will be open to athletes born in 2001 and 2002. Those who register will also receive two months free on Volt Athletics Strength and Conditioning platform to train before the camps begin. At the conclusion of those camps, the participants will be wilted down to a top 100 list. This special group will be tracked by Football Canada as well as the Junior National Team staff and will have continual strength and conditioning, fundraising, and educational support. When the 2019 Football Canada Cup occurs this July in Kingston, Ontario, an update will be made to the Top 100 to reflect the evaluation from that event. Upon the completion of the International Bowl in Arlington, Texas, 70 of the top players will be selected to attend a Red and White mini-camp in May 2020. 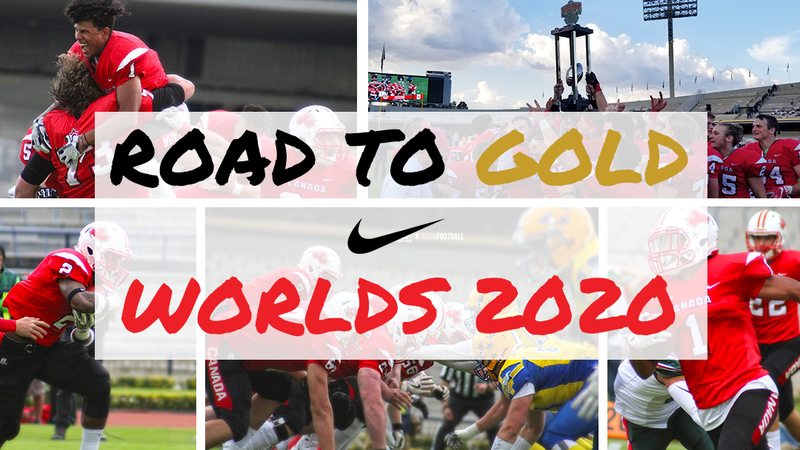 From the Red and White mini-camp, 45 of the top participants will form the 2020 Junior National Team that will defend the gold medal Canada won at the last two tournaments against rival United States – Harbin, China (2016) and Mexico City, Mexico (2018).